25th, 2016 from 6:00 P.M. until 9:00 P.M., 409 Williams Blvd., Kenner, LA. provided by local gourmet food-trucks, a wine and beer cash bar, and music by artist Jenna Hunts. 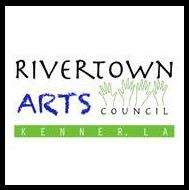 meet the arts and cultural needs of the Kenner community.